New York Times‘ exposé on Hollywood mogul Harvey Weinstein opened the floodgates of truth-telling, not only by women he’s sexually harassed/abused/raped, but men are also speaking out. 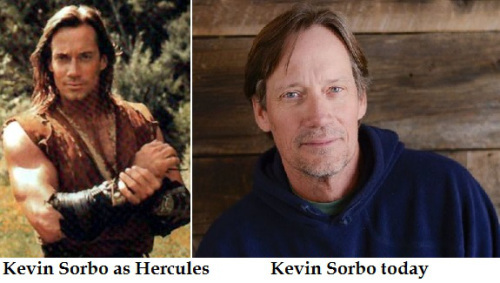 Kevin Sorbo, 58, is an actor best known for his starring roles in two television series,as Hercules in Hercules: The Legendary Journeys, and as Captain Dylan Hunt in Andromeda. Paul Bond reports for The Hollywood Reporter that during a conversation on Weinstein on Adam Carolla’s podcast on October 24, 2017, Kevin Sorbo said that decades ago when he was working as a model, before he became an actor, he was sexually harassed by the late openly-homosexual Italian fashion designer Gianni Versace. On July 15, 1997, 50-year-old Versace was shot dead on the steps of his Miami Beach mansion by spree killer Andrew Cunanan, a “gay” hustler, who used the same gun to commit suicide on a houseboat eight days later. Sorbo said Versace invited him to a dinner party where he met Sophia Loren, opera star Luciano Pavarotti, Richard Gere and others. Sorbo was invited for several more dinner parties, each one with fewer attendees, until one time it was just him and Versace alone. Sorbo told Versace they were leading two different lifestyles, to which Versace said he wanted to “build a bridge” between them.